Yoga Classes or Private Yoga Coaching in Abu Dhabi - Which is right for you? Yoga Classes or Yoga Private Training - Which is right for you? Yoga - With so many options should you join a class or hire a yoga personal trainer in Abu Dhabi? In Abu Dhabi & Dubai Yoga is becoming more popular than ever but which teaching method is best for you? In the UAE there are many different options for learning Yoga. Most yoga teachers and trainers in Abu Dhabi, Dubai and Sharjah offer both private 1-2-1 Yoga training and Yoga classes for groups of like-minded people. If you are just starting your Yoga journey you might be confused when it comes to which method is best for you. We asked a professional Yoga trainer in Abu Dhabi who offers Yoga classes and Yoga private training for her thoughts on the subject. More and more people in Abu Dhabi are turning to Yoga as a health and fitness method for body and mind. Some people are confused about whether they should learn Yoga in a Yoga Class environment in Abu Dhabi or choose Yoga Personal Training on a 1-2-1 basis. 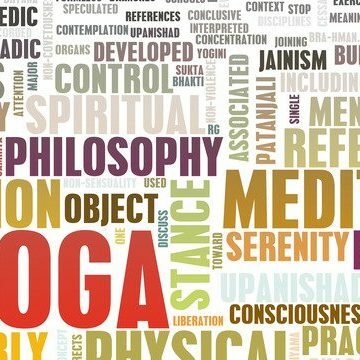 Both methods have their pro’s and con’s but as a professional Yoga teacher in Abu Dhabi can you summarise the benefits of both. 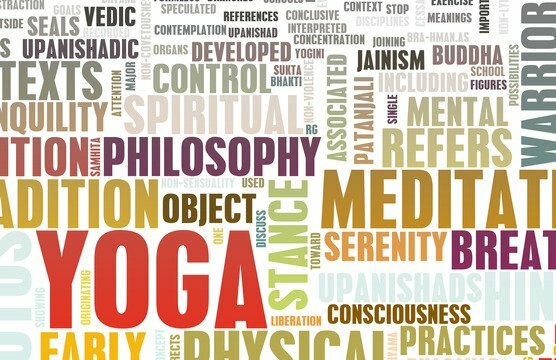 Yoga is an introspective journey beyond the physical stretch, a powerful and comprehensive system that was designed to affect the student on multiple levels – physical, energetic, mental-emotional and spiritual. It’s a win-win in both cases, but the private class in the UAE, in this case, come with more benefits. The decision of starting to practice Yoga in Abu Dhabi, Dubai or Sharjah can be intimidating; walking into a yoga studio in the UAE and attending the variety of different styles and yoga teachers, can be confusing especially if you are a beginner, a private person. In a yoga group class, the students’ needs are varied and the yoga teacher is there to facilitate the process, setting a style and intention when preparing the group session that can generally help every individual that comes to class. Many Yoga teachers do their best to connect and attend most students while taking in consideration that every individual comes to class for different reasons that are not always specific, but also keeping in mind that sometimes students are not aware of their own reason, especially if it is something emotionally related. The physical ones are (Eg: help with lower back pain), and others are more general (Eg: increase flexibility are easier to be put in words when the student is asked why he wants to attend the class. The pros in yoga group classes in Abu Dhabi are a wonderful way socialize also to experience amazing shifts of energy, not only on yourself but also on the group you’re with, and changes can be noticed before and after the class. It is very easy to sense it and motivate each other, and most important is that you are present since yoga will always bring you benefits. The con is that we tend to compare ourselves to others and depending on the student things can sometimes become competitive. It’s a human instinct so instead of focusing on yourself and your learning you might distract yourself and let go the momentum of the connection with your mind and body. That can lead to frustration and even injures, that might the end of what could have been a life-changing journey that was yet to come! Feedback from students mostly from observing them through the course of the practice; the knowledge of prior injuries and physical limitations is certainly helpful since someone might voice their concern about a specific posture or request a modification. Based on that information you might choose to change some elements of the practice that you’ve intended to do. The main difference between a group class in the UAE and private yoga lessons is the number of students. But what does that mean exactly? Private yoga sessions are usually 60 minutes long designed for a beginner individual is much more specific, so the attention is a hundred percent given to that person and thus increasing student concentration, which is the key to make their practice effective. Knowing the priorities and directing their practice to work together required many questions to be asked before even getting the student started on the movements. After a conversation where the student informs the teacher of their concerns and after observing the student’s body movement on the first private class, the teacher is able to then understand what is most important and what is needed to unblock certain energetic points called chakras. A carefully designed yoga practice can address any one of these concerns. Once you know what to work on, you can select the appropriate yogic elements and organizing and tailoring them in a way that targets the primary issue. In private yoga sessions, both visual and verbal feedback need to go on continuously. Any element of the practice can be adapted, based on the student’s response to the practice. Sometimes it’s minor, like changing the arm position in a pose, and sometimes it’s major, such as reorganizing the entire practice. It’s an intricate process of fine-tuning the sequence increasing the student’s experience with the practice. Chakras are located throughout our bodies, in other words, there are 7 main energy centers in the body each correlating to specific body ailment and physical dysfunctions; each energy center also houses our mental and emotional strengths. When we have a physical issue, it creates weaknesses in our emotional behavior. The only way to the only way to practice and achieve the desired effect is to be able to focus on only one student and goals that are set on the stage for the whole journey. Students usually seek private yoga sessions because they are trying to find a short-term solution to a certain condition (physical, physiological, mental-emotional). Each student’s differences and personal preferences will be taken carefully into consideration, this is done not only for the well-being of the student but also so that they are more likely to continue with the practice if they feel related to it. As both visual and verbal feedback goes on continuously. Any element of the practice can be adapted, based on the student’s response to the practice, which is perfect for a beginner to start going down the path of an injury-free practice. In a private yoga class, being able to give that minor adjustment of the arm position in a pose, sometimes it’s major! It might rearrange their entire practice; so an intricate process of fine-tuning the sequence where the student and teacher will have to take the time to explore and accomplish the best they can in one session. Empowering the students as they start will show that change is possible and that it is a result of their own actions. The students need to learn what they can do on their own to help themselves. The sequence continues to be refined during your work together it is an amazing and pleasurable challenge to the body in many different ways. Using the services of a professional male or female Yoga coach in your area of the UAE will ensure you practice Yoga correctly. When you learn the poses from a professional Yoga teacher you are reducing your risk of injury and also getting the best possible results from every Yoga session. The UAE Personal Trainers website only provide information on fully qualified Yoga teachers and Yoga coaches in the UAE.